I love using Pinterest to find new recipes that I may or may not get to, outfit inspiration, cute puppies, and of course blogging tips. Pinterest is one of my favorite social media outlets, and it's where more than half of my blog traffic comes from. If you're not utilizing it for your blog, you should go right now and start! Over the past few months I've been testing different things on the site to see what works, and what doesn't. I've recently had a few posts go viral as well, so I thought now would be a great time to share some tips. Unfortunately there isn't a way to search specifically for group boards on Pinterest. However, if you search for your niche and then select search specifically under "Boards" and scroll through, you'll see some with a little gray symbol at the top corner. If you click through to the board, there should be instructions on how to join if it's accepting new pinners. If you join specific groups that are relevant to your blog and reciprocate by pinning other posts in their niche, it can help make others aware of what you're writing. I cannot stress how crucial BoardBooster was to my Pinterest growth. It's a pin scheduler that allows you to pin things to secret boards and spread them out over a few hours. This can save you a lot of time during the week if you're available for an hour to pin a solid amount of content which can last through rest of the week. I normally have my scheduling set to 3 or 4 pins per board starting early in the morning and going until mid-day until I can pin things myself if I have free time. This is helpful because it also prevents your followers from getting annoyed if you have multiple pins in a row and you're the only person they're seeing on their feed. Also, if you're scheduling pins evenly throughout the day it will open up that content and your profile to new viewers, thus leading to more pageviews on your profile and blog. This is such a simple thing that many bloggers don't think about. Even if you put your blog's url in your profile description it's important that you have a board dedicated to your blog posts. It's also important to consistently pin blog posts directly from your blog into that board. I typically use that original pin as the starting point of pinning that same content to other relevant boards. By pinning the content from your blog board to other boards, it will eventually lead all those re-pins back to the board that has your blog name and url. This means that people who trace the origins of your pin will run into your other posts as well and hopefully will either repin or visit your site! If you look on my "The Classic Brunette" board on Pinterest, you'll see that each pin has a bolded title, a url source, as well as a description on what the image/post is about. These type of pins are called rich pins, and can provide extra information, and make them look more appealing to click on. These pins easily stand out amongst the "regular" pins, and are a great extra tool when you verify your website. I'm not 100% sure if you need a business account to apply for rich pins, but either way applying for this type of account is one of the best things I did for my Pinterest! Business accounts get you access to analytics for how many views your account and pins are getting, as well as how many of those viewers are interacting with you and your website. If you take one piece of advice from this post I would hope it's this, because having access to these analytics is crucial for understanding which pins are doing well, and how to improve the pins that aren't performing as best as they can. My pins are always vertical. My go to pixel size is 650 x 1000, however evidence shows that the best pins are closer to 700 x 1100. It all depends on your preference, because my dimensions work best for me and my blog, but yours may work with something else. No matter the dimensions though, they should be on the larger side and always vertical. Vertical pins statistically do better and stand out more (aka take up more room on your homepage) than other pins, and will get your content noticed. Once I made the move to have all my pins vertical my analytics skyrocketed! Promote, promote promote. My most successful pin has over 45k repins. I never expected to have something go over 100 repins, let alone thousands! I credit the success of this pin (and a few others that have gone "viral") to both the tips above, but also to the amount of promotion that I did with them. I repinned these few pins to as many relevant boards as possible, promoted on other social media, told bigger bloggers who I got inspiration from about it, and continued to promote the pin every few weeks so that it didn't fall out of circulation. I think it is 100% okay to re-pin your own pins every so often, because there could be a number of your followers who didn't get a chance to interact with that specific pin the first time around. If you actively promote the pins you're proud of, and do it in a strategic way that takes your analytics into account, you can bring success to a pin. However, there definitely is a point of over-promotion, so don't re-pin things constantly because it will annoy your followers! Do you have any pinterest tips that you swear by? Also, apologies for how long this post is! im currently working on growing my pinterest activity! I need to try boardbooster! Working on Boardbooster and figuring out campaigns, scheduling and looping! Yes girl yes!! This is gold! One of my goals this month is to get up my Pinterest traffic, so I can't wait to try these tips out. That's awesome Sami!! I am following all these tips except boardbooster (I use something else) and waiting for my 45k pin! Pinterest is the love of my life and Boardbooster has been my savior. I even teach people how to set it up because it's kind of confusing to get going at first. Great tips! I did the free trial of Board Booster and liked it but haven't really gotten into Pinterest as much as I should! Awesome tips, girl! I'll be sure to try some of them! I've heard about board booster but never thought about trying it until now. Thanks for sharing these great tips with us! I love Pinterest. Thanks for sharing these tips. I found them very informative and definitely implement them. Good job. Last month my pins were going well, but this week it seemed to drop off as far as click-throughs. I use tailwind to schedule, but I'm definitely still getting the hang of Pinterest and finding out what works and what doesn't. Yes! 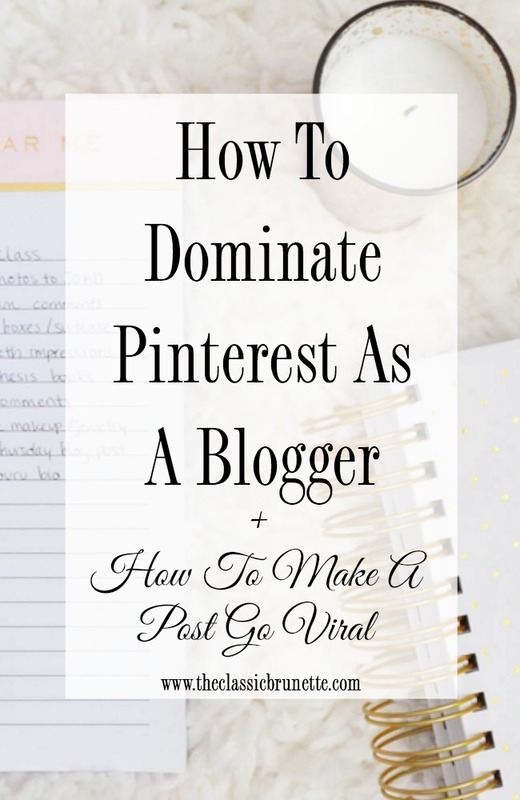 Pinterest is so important to a blogger's social media game! I've been working on mine for the last few months and have seen some great growth. I use tailwind and have great success with that scheduling profile, along with paying to run some ads! I need to get better about making vertical images for pinterest! Great tips! I've been working on bettering my images for Pinterest! Tailwind has been great for me! OMG 45k repins! I have like 300+ on one of my pins and I thought that was good lol. I need to step it up big time! Have you used pingroupie to find group boards?! It is great!! Awesome post girl!! Such great tips!!! I use tailwind right now and love it but I've heard a lot of great things about boardbooster too! I am really trying to work on my Pintrest game but I'm lost as to where to start. This post was great for someone like me! Okay these are such great tips! I've been trying to find the time to get set up with rich pins - been on my to-do list for forever! Awesome tips Sami!! I totally agree with you. These are great tips! I use Ahalogy to schedule my pins during peak times and love it! Great tips! Pinning this!!! lol :) I agree with everything you said and am always working to improve my Pinterest presence. I was so excited when my monthly reach hit 1Mil!! Now I've got my sights set on 2Mil. :) Keep up the great work. Great tips! That's awesome about the pin that got 45K repins. Amazing! Absolutely. I've had so much go viral now through Pinterest...it's my saving grace! Lovelovelove Pinterest. The ultimate hub of inspiration! Great tips here! It's true that you have to spend so much time promoting your content. I use Viraltag to schedule most of my social media and have loved it! I haven't even tried to use Pinterest for my blog. I can't keep up with all of the different accounts that I need, but I'm going to have to check this out. Thanks! I love Pinterest for generating traffic. I also use Boardbooster, and am considering Tailwind too, for advanced scheduling options. Great tips and suggestions! Thanks for sharing! Lots of great tips here! Pinterest is definitely my main source of traffic these days! Pinterest is a great source of traffic for me but I know I could even get more traffic if I follow some of these tips. I just can't keep up! I love my group boards, these are great tips! Awesome tips! I use CoSchedule, which now allows you to pin and create social media templates. So now I don't have to remember which group boards go where. I have different templates for different types of posts, and BAM! It's awesome! I have heard a lot about boardbooster but I am obsessed with tailwind! These are great tips! FABULOUS tips! Thanks so much for sharing! These are such great tips. I have been searching how to grow my pinterest all day! These tips are different than most of the general ones I have found so thanks for expanding!! These are great tips! I wish I would have known about them before starting my blog! I didn't make long pins or join group boards until awhile into blogging. I live Pinterest it is one of my favorite platforms, I've been struggling getting people to pin my pins though. So anything I can find to help me out is great! I've also pinned this post to share the love with my other bloggie flowers. Thanks for sharing! You're last tip is golden and something o need to do more of. I also need to figure out board booster. I've got the rest done!! Pinterest has been such a great source of traffic for me lately, these are great tips! Such great tips! I've been working on Pinterest, but I have a long way to go. I didn't know if it was good to re-pin or not, so that is helpful. The group tip is also really helpful. Great tips! I love Pinterest as well, it's great for getting more traffic to your blog. Looking forward to tackling a few more of these, especially having my own board, I didn't even think of that! The thing I found that helps the most is pinning a LOT and to a lot of group boards. It's really helped my traffic. Very interesting. I never thought about having a pinterest for my blog. I'll have to look into it! Wow, great tips. I love BoardBooster. I've been using it for a month or so now. I like your tip about contacting big bloggers. I'll give that a try. Pinterest is surely the social network I neglect most. It's clear to see it can be a big driver of traffic if used correctly! This is next on my list to start investing time into!! I loved this post!! So helpful! !